Robert R. Finchum of South Knoxville is charged with causing and walking away from a fatal crash last month in South Knox County. Robert R. Finchum was driving when a passenger died in a March 2019 crash, according to records. KNOXVILLE, Tennessee — A South Knoxville man who left the scene of a fatal crash last month faces a vehicular homicide charge. Robert R. Finchum, who has a long arrest record for offenses that include assault and driving with a suspended license, is being held in the Knox County Jail. He faced a violation of probation order along with charges of vehicular homicide and leaving the scene of an accident. He was arraigned in jail Monday and faces an April 26 preliminary hearing in Knox County General Sessions Court, according to records. 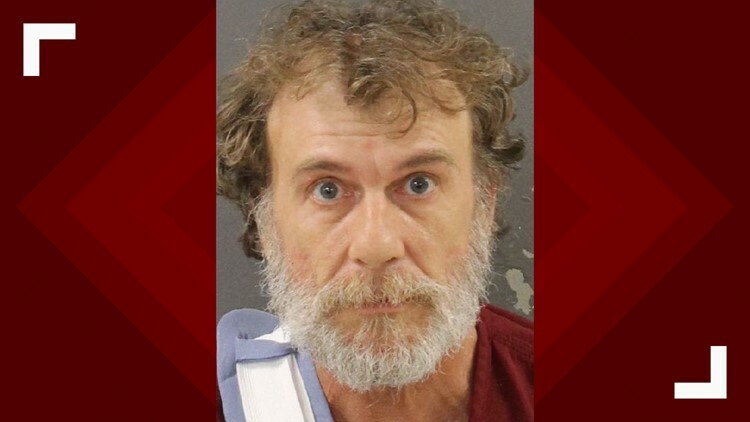 Finchum is accused of killing passenger Michael Taylor, 57, in a rollover crash March 21 on Tarklin Valley Road in South Knox County that also seriously injured passenger Craig Monday, age unavailable, records state. Finchum's drivers license previously had been revoked. A witness told authorities she heard a crash and then saw Finchum, the driver, walk away. He kept going even though she told him to stop, according to a warrant. Finchum was found a short time later at Fort Sanders Regional Medical Center where he'd gone for treatment of injuries. He was incapacitated, records state. Monday told authorities the men in the vehicle had been drinking and using drugs. "Numerous beer cans were strewn about the crash site, some still containing cold beer, as well as a used hypodermic needle," records state. Blood was drawn to see if Finchum was intoxicated. Results were not immediately available. Finchum could provide no proof of insurance, according to records.